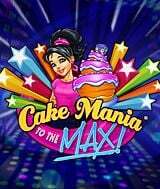 Download Cake Mania: To the Max! for free at FreeRide Games! 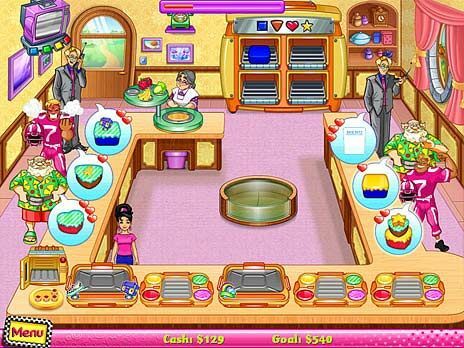 Flashback to the neon-soaked 80's and help a teenage Jill Evans find her true calling in Cake Mania: To the Max!, the sixth chapter in one of the most popular Time Management series of all-time. Like most high school students in the Bakersfield High Class of '89, Jill doesn't have a clue as to what she wants to do with the rest of her life. As she fretfully contemplates various schools and career paths, her Grandpa presents her with the opportunity of a lifetime - design the centerpiece cake for her upcoming prom. Help Jill juggle the waves of demanding customers that line the Evans Bakery counters as she prepares for the biggest night in her young life. With all-new equipment upgrades, updated shop mechanics, and interior improvements designed to increase performance, you´ll have Jill on the path to becoming a world-class baker.